As a chamber of commerce, we’re focused on more than just promoting businesses. Our goal is to help support the community as a whole, through education, service, and support. We’ve got a series of programs designed to address a variety of needs and goals, please inquire for additional information about any of these, or ideas about future projects! 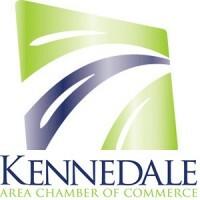 Keep Healthy, Kennedale is an ongoing promotion designed to help encourage healthy wellness within our area, both among chamber members and the broader reach of the community. Starting with a January luncheon featuring Medical Center of Arlington’s presentation on nutrition and wellness, we’ll feature articles, events, and promotions throughout the year that promote positive life choices. The 2016 Keep Healthy, Kennedale initiative is sponsored by MCA, but other member companies that feature products or services designed to help people live healthy are invited to participate in promotions throughout the year.